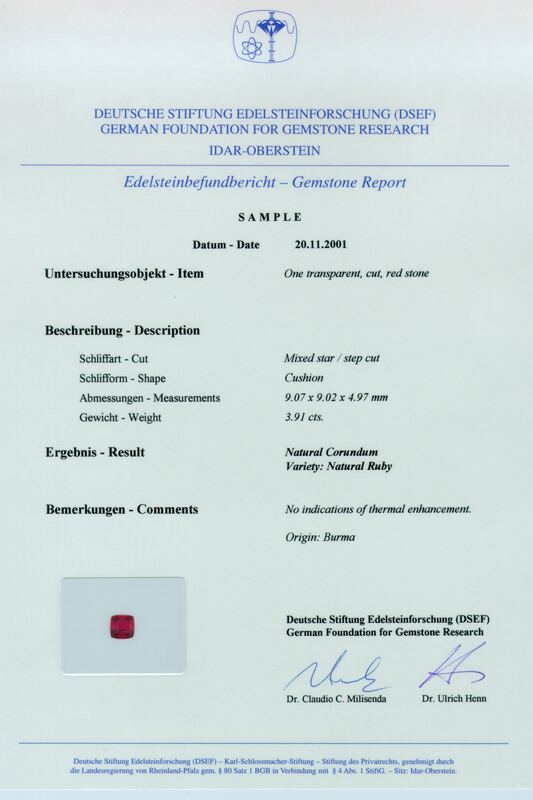 The identification reports produced by the German Foundation for Gemstone Research are internationally recognized. They carry a colour photograph of the gem material examined and are written on registered security paper. The DSEF applies a policy of total disclosure on gemstone enhancements in its reports.